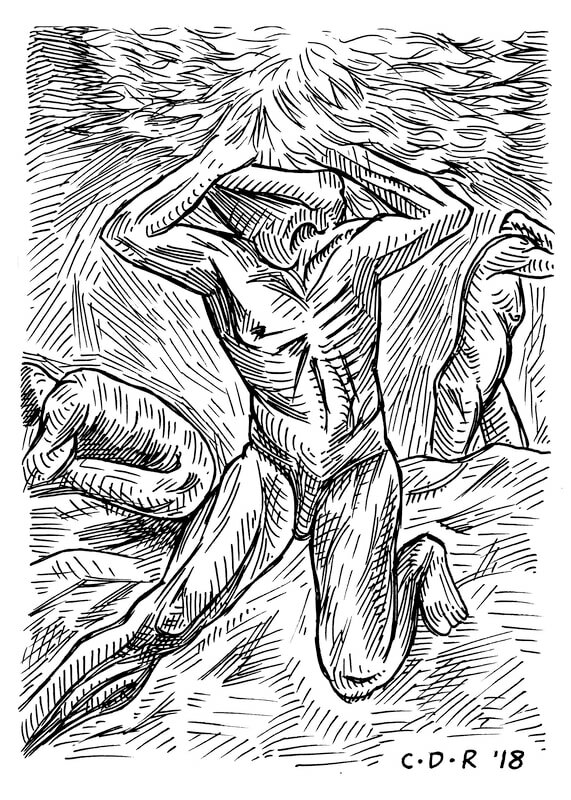 For the 2018 Inktober drawing challenge, I chose famous artwork as my theme. However, I decided to venture a little outside of the box and swapped out the faces with noses. This is a piece I made as a gift for my parents' 35th wedding anniversary. 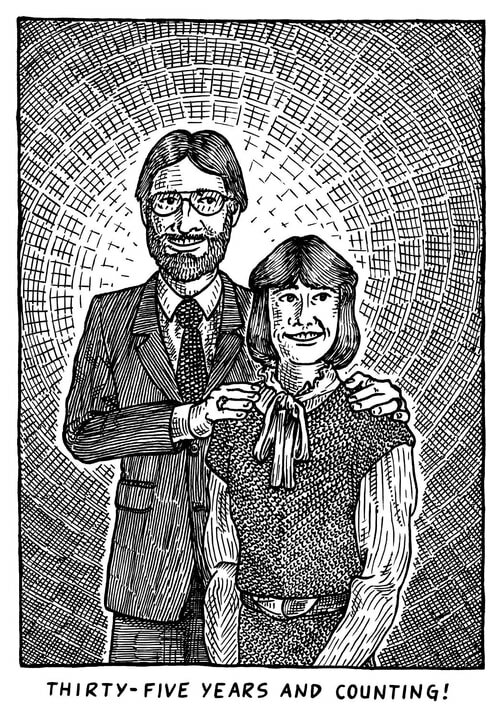 It's based off of an old portrait of them that they had taken as newlyweds in the mid-1980's. They got a kick out of it. 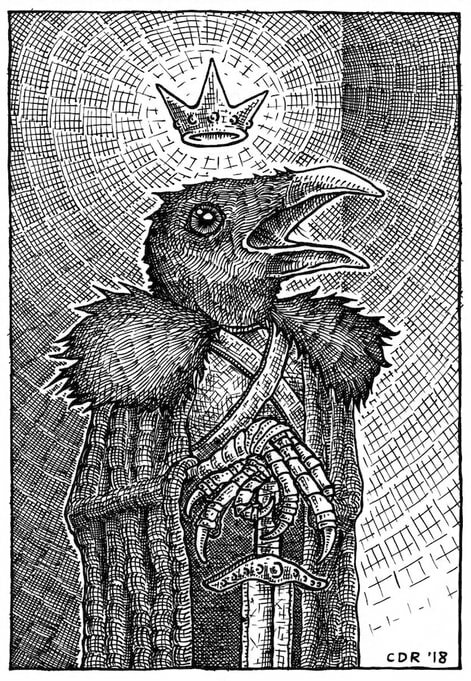 Over the past couple of years I have been experimenting with line-work in relation to texture and patterns. 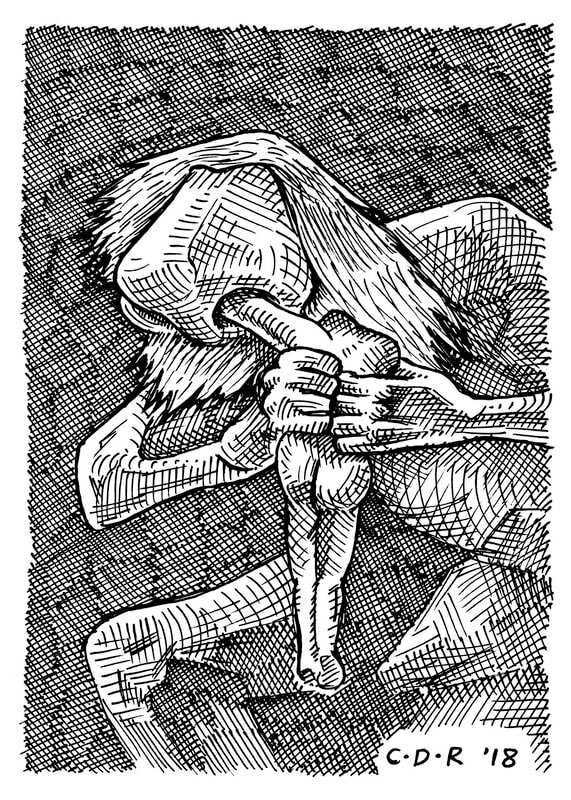 This piece demonstrates crucial changes I have made in my personal drawing style and development as an illustrator. 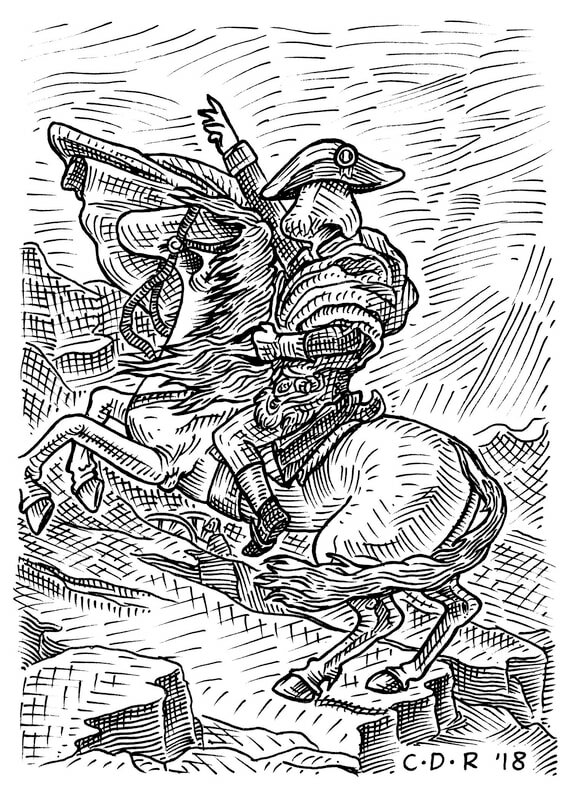 I made this black and white design to function as an avatar for my social media accounts, but found that it and didn't translate well into a thumbnail. When I started adding different color combinations, interesting gradients started to emerge because of the "halo" effect I use in my line-work. 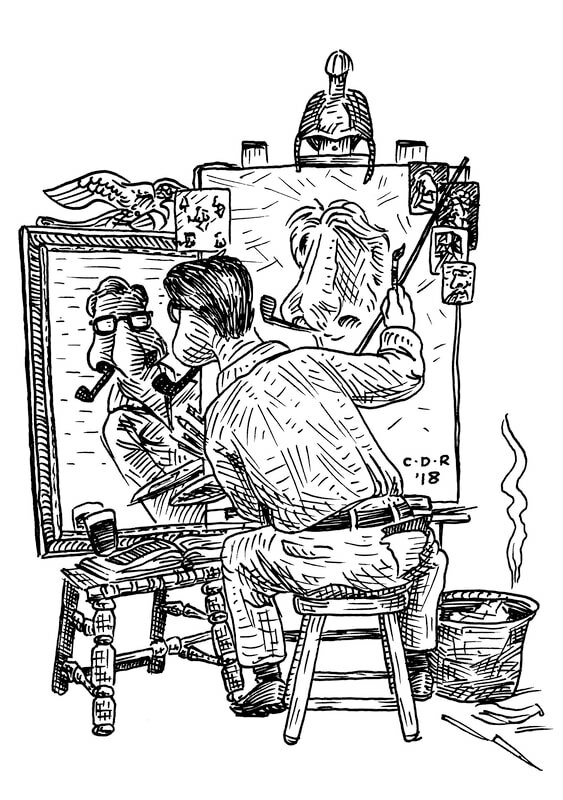 This piece was submitted in the Art Can category for Pabst Brewing Company's annual art competition in 2017. 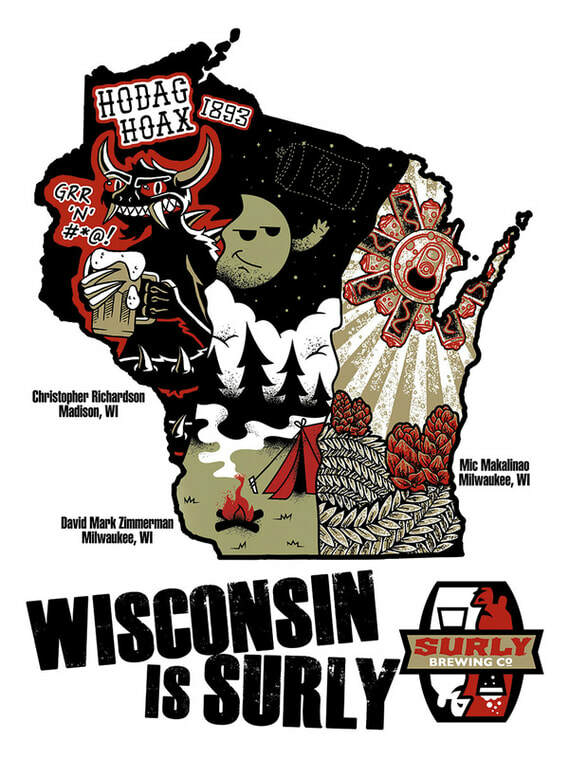 Wisconsin Is SURLY - Surly Brewing Co.
Collaborative poster for Surly Brewing's "Wisconsin Invasion". I feel very fortunate to have been commissioned to do the Western portion of our state, and collaborate with such talented local artists. 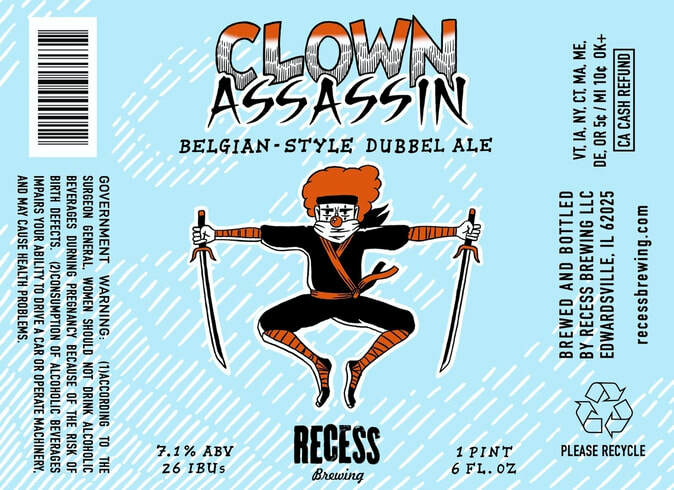 Bomber label for Recess Brewing's Belgian-Style Dubbel Ale, "Clown Assassin". Individual bottles can be purchased at their taproom in Edwardsville, IL. Illustrator Glassware Design - Tin Man Brewing Co. 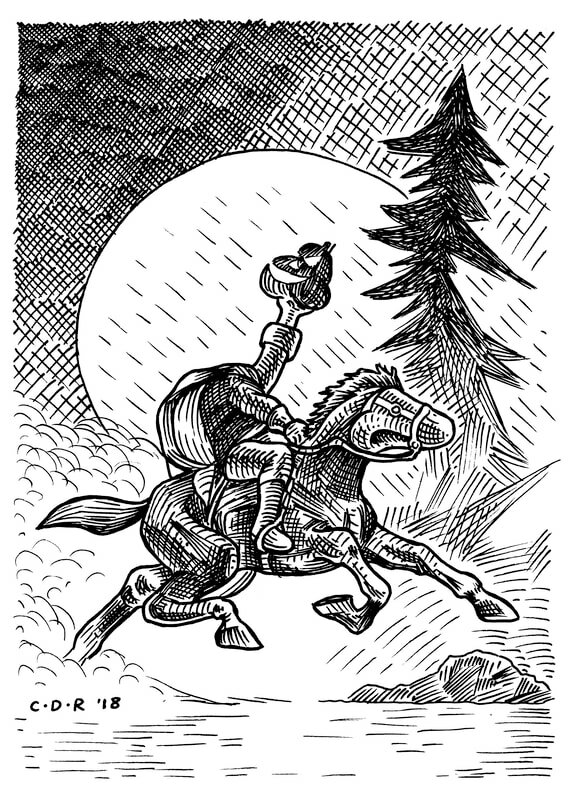 Winner of Tin Man Brewing 's 21st Illustrator Series Glassware. Heavily influenced by vintage horror movie posters or the cover of pulp comics. 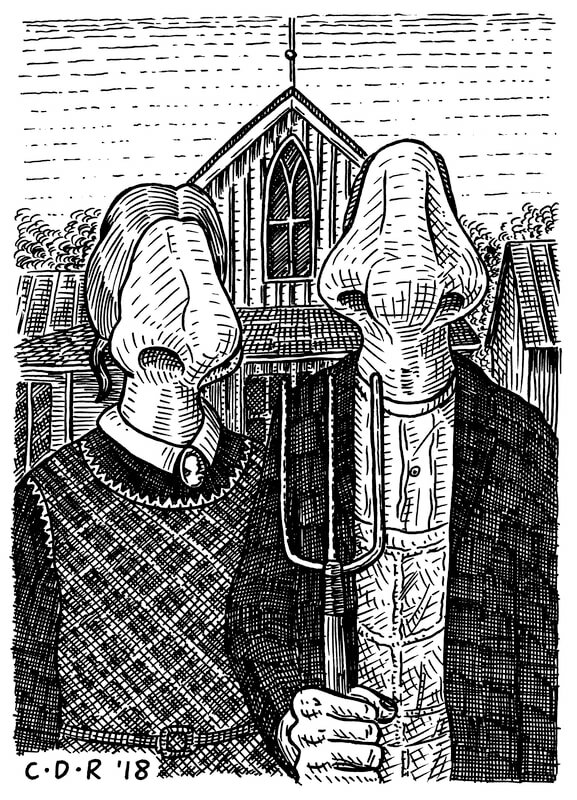 Initially this design was submitted to Recess Brewing for their summer Tee Shirt Contest on April 26th, 2015. 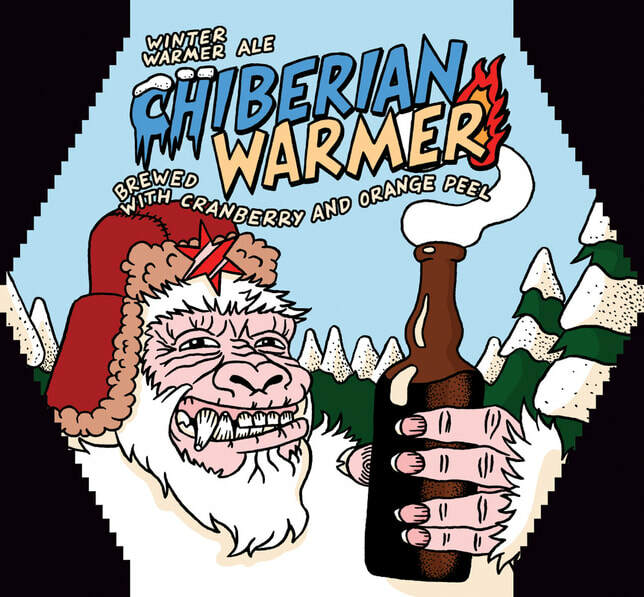 The design was not selected as a winner, but the rights were instead purchased by Recess Brewing to use in their other merchandising.